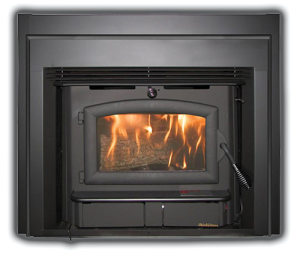 Whether you are looking for an inexpensive Wood Stove, a top-of-the-line Gas Stove unit, or something in between, A Fire’s Place can help. You’ll find a great selection of Wood Burning, Gas, Pellet and Electric Stoves that offer great value and high heat efficiency. If you are looking for an energy efficient way to easily heat your home, try a free-standing stove. Although stoves have been around for decades, there’s nothing old-fashioned about modern models. In fact, stoves on the market today feature modern capabilities, beautiful design and wonderful efficiencies. Homeowners can also choose which type of fuel they prefer to use; whether that’s wood, gas, pellet, or electric. From free standing units to stove inserts, A Fire’s Place offers a wide selection of stoves. From traditional to rustic or even contemporary in styling, you’ll find the perfect stove that can deliver top notch heat efficiency. Stop by our Lafayette, Indiana Fireplace showroom to view these excellent heating appliances in person and compare models side by side to find the perfect appliance for your needs & lifestyle. 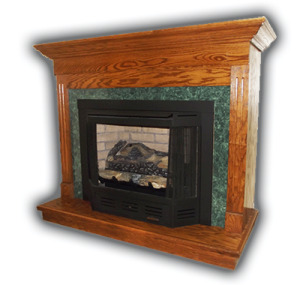 Affordable Wood StovesWood burning stoves tend to be the most popular choice for homeowners. Today’s modern wood burning stoves must meet or exceed the Environmental Protection Agency’s emission requirements. That means homeowners can enjoy high efficiency, environmentally friendly fires that provide a wonderful ambiance in addition to outstanding heating benefits. Wood stoves utilize a re-burn system which helps to burn particles & gases left over after combustion. This ensures that your stove burns cleanly and produces very little harmful emissions. Catalytic wood burning stoves use a catalytic combustor. Smoke from the fire is routed through the combustor which achieves extremely high temperatures. These high temp’s causes most of the smoke from the fire to be burned as it is routed through the combustor. Non-catalytic wood burning stoves feature secondary burn tubes to diminish the smoke output. Non-cat wood stoves are generally favored because the re-burn system is automatic. Catalytic stoves normally have a damper that must be engaged at the right time and temperature to enable, or engage, the re-burn system. Wood burning stoves come in a number of sizes, styles and models. Choose from steel, cast iron, or soap stone, along with a number of other options, such as front, side or top loading models. Gas burning stoves appeal to many homeowners due to their convenience and ease of maintenance and operation. Conveniences like multi-function/thermostat remote controls, variable heat output, flame height and fan speed are hard to beat. These highly advanced heating appliances are great for zone heating, and can effectively heat a single room or 2,000 square feet of space. They can also be installed in almost any room of your home, making them a great option where wood burning stoves would be impractical or you just want the convieniece of gas. 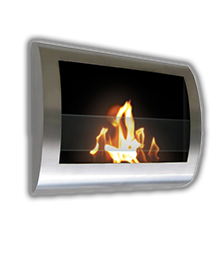 Gas stoves are available in different sizes, styles, and venting options. The venting system for a direct vented gas stove can be installed through the side-wall of your home or up through the roof if you are positioning the stove on an interior wall. There are also “b-vented” appliances that use room air for combustion and vent-free appliances that have no venting system.